Tiger Woods will be back in action later this month at the WGC-Dell Match Play. Mark your calendars, golf fans. Tiger Woods will officially make his next appearance on the PGA Tour later this month at the WGC-Dell Technologies Match Play in Austin, Texas. Tournament officials announced the 14-time major champion’s return to the event for the first time since 2013 on Monday. The event, which will take place at Austin Country Club, is one that the 43-year-old Woods has won three times in his career. In fact, Tiger is the only golfer to have ever defended his own title and to have won the event on three different occasions. 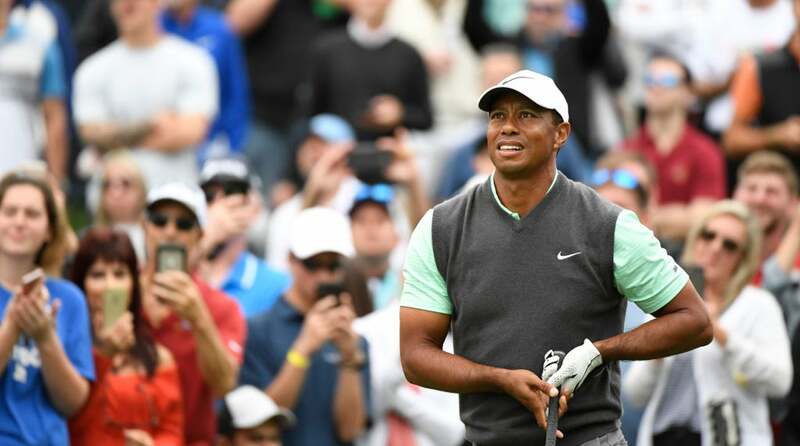 Woods also holds the record for most consecutive matches won in the 20-year history of the event, and he also has a runner-up finish on his illustrious resume. However, Woods hasn’t won at the WGC-Dell Match Play since 2008. And Tiger is still looking for his first victory since the Tour Championship this past September. The 80-time PGA Tour winner is coming off a T30 performance at the Players Championship this past week. This will be the first time that Tiger plays in the WGC-Dell Match Play since it was moved to Austin. It will be his 14th career start in the event.